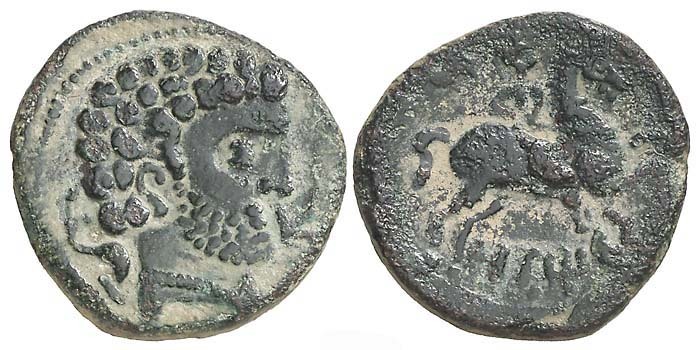 Obverse Description: Bearded male head right, plow before, dolphin behind. Reverse Legend: Iberian legend ONTiKeS. Reverse Description: Horseman galloping right, holding spear, triskeles above.